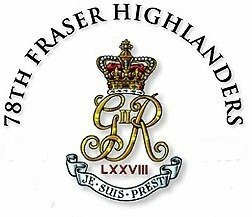 The 78th Fraser Highlanders Welcome to the website of the Fort Fraser Garrison, 78th Fraser Highlanders! are celebrated by the members of today's 78th Fraser Highlanders! Highland Games and other events. 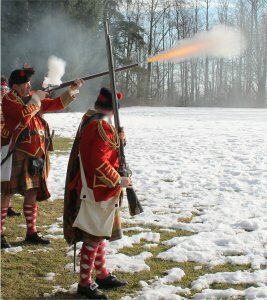 Click on a picture to view a demonstration of the firing. Fraser Highlander Mark Dwor giving our cheque to the Vancouver Heritage Fairs for $600. 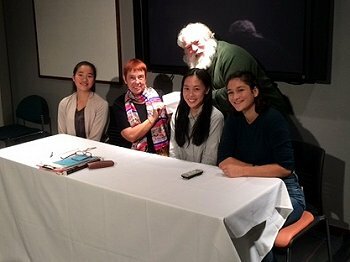 The Fair encourage students in Vancouver schools to take an interest in Canadian history in Vancouver Heritage Fairs where Grade 7 students in Vancouver are inspired to study and write about Canadian history. The students then create presentations and projects similar to a school science fair. The presentation and project highlights their chosen aspect of Canadian history or culture and present their project to their classmates, parents and community. we will be present at field events! He can be reached by email: (jobarb@shaw.ca). We would be most pleased to have you join us! 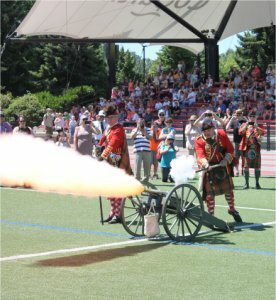 All pages on this website (c) 2019 78th Fraser Highlanders Fort Fraser Garrison, 1st Signal Corps.